We offer custom design and development services for for full service customers only. Request a demo here if you'd like to become a full service customer and learn about our offering. From your Email Campaigns, page click New Campaign. Name your campaign. We recommend to keep your campaign's name simple, but descriptive. Browse Abandonment: meant to target browsing sessions. 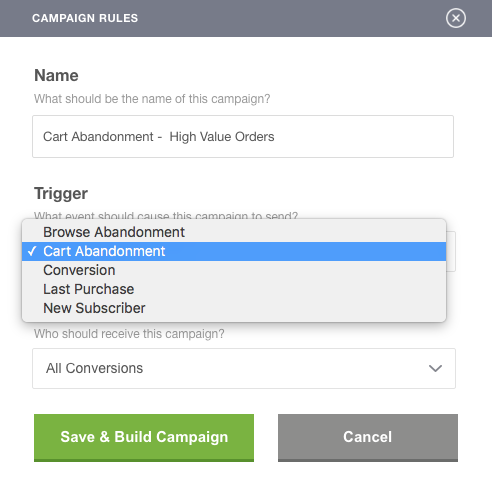 Cart Abandonment: meant to target cart abandonment sessions. 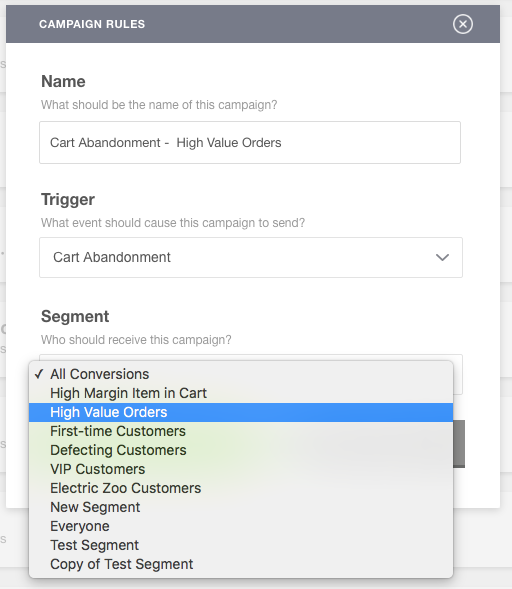 Conversion: meant to target conversions. Last Purchase: part of our post-purchase triggers. New Subscriber: meant to be used as part of our Zapier integration. Choose the appropriate segment that should receive the campaign.